Regulators in US and UK make important announcements during July 2016, with positive developments in their efforts to identify spectrum for 5G services. 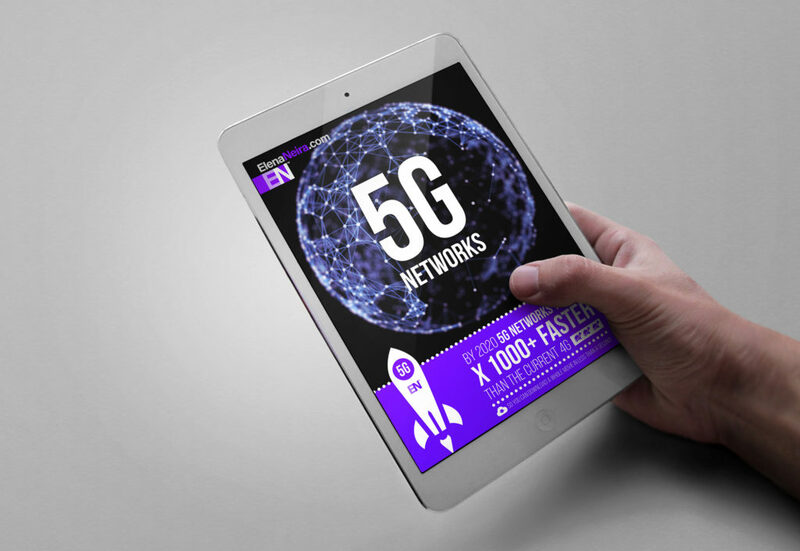 The FCC ruled that over 10 GHz of spectrum across 4 different bands – 3.85GHz of licensed and 7GHz of unlicensed frequencies, across the 28GHz, 37GHz and 39GHz bands, as well as new unlicensed bands at 64GHz-71GHz – are now available for 5G across US. 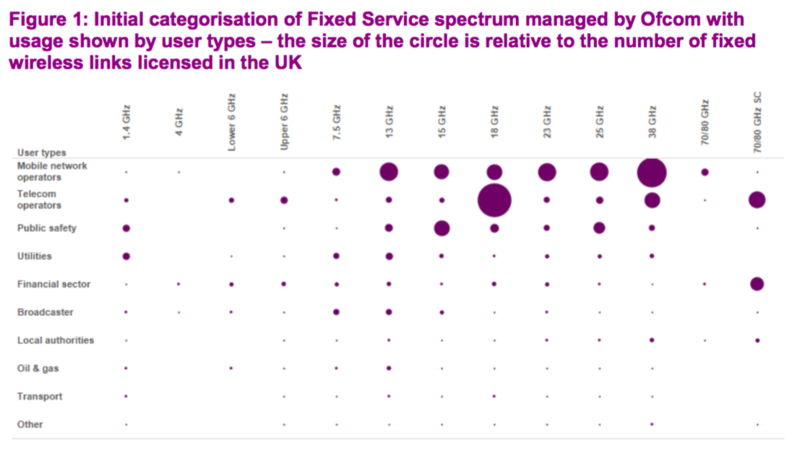 In UK, Ofcom issued a consultation to identify 5G spectrum for fixed wireless services. These actions could speed up 5G rollouts in America and Europe but these could still lag behind South Korea and Japan who said to deploy 5G by the time they host the Olympics, in 2018 and 2020, respectively. These actions by FCC and Ofcom are also key towards ITU’s WCR-19 and IMT-2020. FCC Spectrum Frontiers Identifies Over 10 GHz of Spectrum for Wireless Use: To support the development of 5G networks, the FCC this month moved forward on high-band spectrum issuing an order – Spectrum Frontiers proceeding – to open over 10 GHz of high-band spectrum for innovative mobile use. The order contemplates both licensed and unlicensed allocations, and creates opportunities for sharing among different kinds of users such as fixed/mobile, federal/nonfederal, terrestrial/satellite; and public/private networks. As far as technical rules in these bands, it is worth noticing that for TX Power at the basestation CTIA, Ericsson, Fiber Tower, Intel, Qualcomm, Nokia, Samsung, Straight Path, TIA, Verizon, and XO’s representatives requested greater than 62 dBm/100MHz EIRP level; it appears that the FCC accepted this requirement. 28 GHz licensed band currently assigned for LMDS (fixed broadband wireless service) and FSS (Fixed Satellite Services), the Commission authorized use of the spectrum for mobile services and integrated new uses directly into the existing licensing scheme. Incumbent LMDS licensees may begin mobile operations, and new mobile operators can apply for county-based geographic-area licenses in this spectrum. The FCC expects mobile operations in this band to provide mobile broadband access in dense population centers and along highway corridors. 37 GHz licensed band for terrestrial mobile operations, barring a few federal uses that remain protected. A portion of the newly-opened spectrum will be available on a co-equal basis to federal and non-federal uses, and will be monitored as a “proving ground” for federal and non-federal sharing in high-frequency millimeter-wave bands. 39 GHz licensed band with co-allocation for fixed, fixed satellite, and mobile services; however, the FCC has always declined to permit mobile operations in this band pending resolution of potential interference issues. In the Order, the Commission authorized terrestrial mobile operations and adopted service rules to minimize the risk of interference between terrestrial and satellite uses, and a “protection zone” free from terrestrial operations in the 39 GHz band. 64-71 GHz unlicensed band available for use by unlicensed RF devices under the FCC’s Part 15 rules. This band will serve as a place to test and deploy wireless devices, contributing to the development of new unlicensed applications. In addition, FCC also began of the process, issuing the corresponding NPRM, to bring perhaps twice that much spectrum online above 71 GHz. 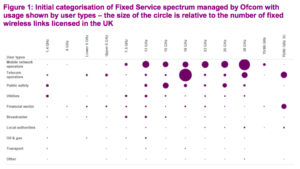 OFCOM Issues a Call For Input on Fixed Wireless: UK regulator Ofcom also moved to issue a call for input on spectrum used with fixed wireless and noted that the European Union plans are to look at spectrum up to the 175 GHz band.